The world around us shifts constantly. The light, the seasons, the wind and rain all shape what we see. They impact our urban landscapes, but their effect is most evident in the landscapes we find away from the concrete and steel of our self created worlds. The land and the sky are the places where the uncontrollable aspects of planet earth dance best. I had a really tough time choosing which piece of Tracey Allyn Greene's to RIP. Her work reminds me of all of my favorite artists all wrapped into one. I finally decided on "Sunflowers on Redstone Arsenal". 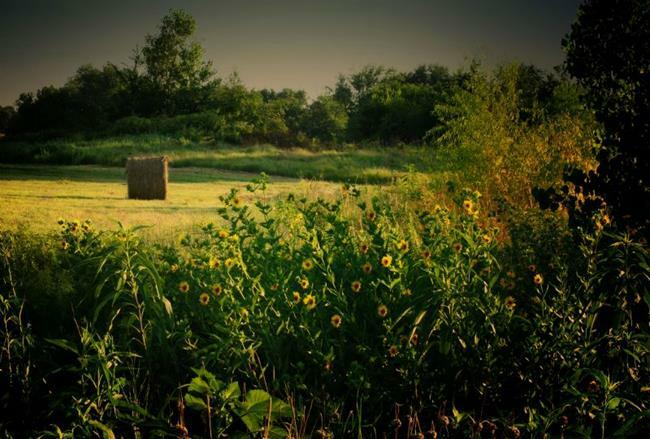 The sunflowers and bales of hay remind me of my home state of Kansas, and has always been one of my favorites. 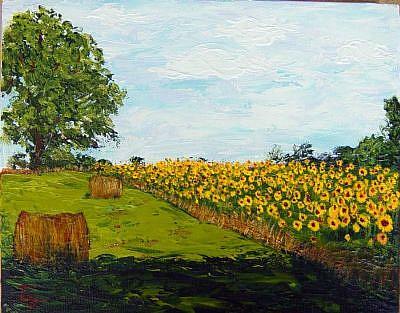 Tracey's "Sunflowers on Redstone Arsenal"